If Austria follows through with the Brenner Pass border controls, the economic and political repercussions will be felt throughout the entire region, writes Stratfor. Spring is arriving in Europe, and Austria fears more migrants will soon follow. On 12 April, the Austrian government began working to introduce border controls on its side of the Brenner Pass, the main Alpine crossing into Italy. Vienna, worried that the coming months will bring increased migrant flows from Italy, said the controls will be performed only as necessary. Austria’s fears are well-founded: As the weather improves, more migrants will take the central Mediterranean route, which connects North Africa with southern Italy. In the past, Italian authorities have allowed some migrants to leave Italy and continue their journey north, something Vienna would like to prevent in the future. But so far Austria’s decision has proved controversial. EU Migration Commissioner Dimitris Avramopoulos criticized the proposed controls, and Italy’s undersecretary of European affairs, Sandro Gozi, asked Vienna to reconsider, calling the measure a “serious mistake that violates European rules.” In light of Austria’s upcoming presidential election, scheduled for April 24, Italian authorities also accused Vienna of introducing the controls for political reasons. For his part, Austrian Chancellor Werner Faymann claimed “full responsibility” for the decision, arguing that Austria had to do something to pre-empt the imminent spike in migrant arrivals. Since the migrant crisis began last year, Austria has introduced assertive measures, reinstituting controls at its border with Slovenia and announcing a quota for asylum applications, among other precautions. If Austria follows through with the Brenner Pass border controls, the economic and political repercussions will be felt throughout the entire region. Every year, over 10 million vehicles use the Brenner Pass, which is one of the main travel routes connecting Central Europe and the Balkans. The Brenner Pass also serves as a transport route for several countries, including Austria and Italy — Austria’s second-largest trade partner. Additionally, the pass is a popular option for visitors to the Italian and Austrian sectors of the Alps. New border controls would create substantial traffic jams in an already congested area, which could lead some people to choose alternative points to cross the border. In any event, the controls would increase transportation costs for exporting companies and could hurt tourism. In announcing the controls, Austria’s main goal is to force Italy to become more efficient at registering and housing the migrants who arrive on its shores. Some 20,000 migrants have reached Italy by sea since the beginning of the year. Because most of Italy’s migrants come from sub-Saharan Africa, they do not qualify for asylum. Still, only a handful of them are actually deported, and Italian authorities often turn a blind eye to migrants, knowing that many of them will leave the country to try to reach northern Europe. Although Italy’s migrant figure pales in comparison to the 153,000 who arrived in Greece during the same period, migrant traffic in Italy is sure to increase as weather conditions improve. Should Austria introduce controls at all its border crossings with Italy, migrants could start camping on Italy’s northern border. This could lead to a situation similar to that in Idomeni in northern Greece, where thousands of people wait for the opportunity to cross into Macedonia. Some migrants may try to reach France, which in turn would probably reintroduce controls at its border with Italy. (Paris temporarily introduced similar measures last year.) And Rome is likely to react virulently to the new immigration measures, seeing them as an attempt by neighboring countries to isolate Italy. Consequently, German and EU authorities will probably work to de-escalate bilateral tensions in the coming weeks. 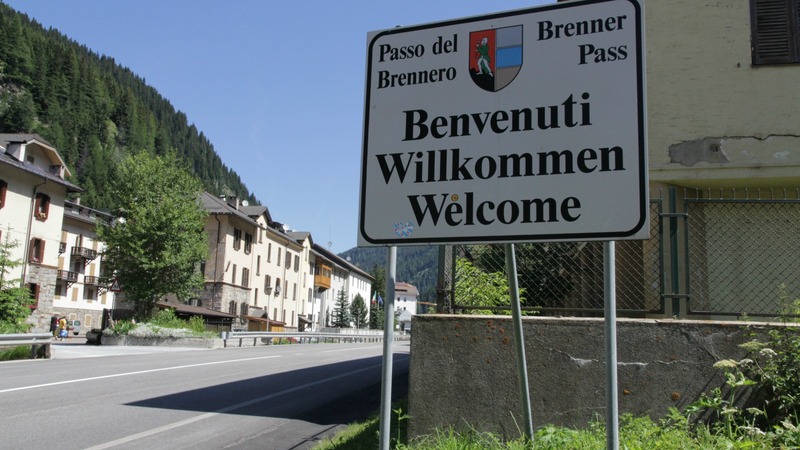 The Brenner Pass has long been a symbol of friendship between Italy and Austria, which fought over the Tyrol region at their shared border during World War I. The introduction of the Schengen Agreement, which eliminated border controls throughout the European Union, helped to reunite Tyrol, enabling people from both sides to move freely throughout the region. But in recent weeks, the Alpine pass has become a symbol of Europe’s disunity. The migration crisis has prompted EU members to take unilateral action, exacerbating underlying political discord within the Continental bloc. Austria’s announcement is just another step in that direction.